Water removal solutions can prevent bigger problems such as replacing the whole ceiling if the problem is a leaking roof. An indication that your roof has been leaking is mold growth or discolored spots on the ceiling. If you notice such signs, you can contact a certified service provider and request an inspection. We can inspect your Hollywood home and advise you on the best course of action. Your Hollywood property needs water removal services when the pipe in the attic bursts and the water accumulates into a pool on the ceiling. That is where our SERVPRO technicians come in handy since we have the needed expertise. The moment you notice the leaks or its effects, you are in a race against time to stop further damage. At SERVPRO, our first step is to identify the source of the leak by determining and the extent of the damage before we can fix the problem. We then remove the excess water and restore the site to its preloss condition whenever possible. Depending on how much water leaked, we use various methods to get rid of the water. The wet or dry vacuum units we use are compact in size, which makes them great for getting rid of water pools in limited spaces. Once our technicians vacuum all the water trapped in the ceiling, the final step is getting rid of excess humidity. That is the final step, and it’s important because it helps to prevent warping, mold growth, and rotting of wood. Our technicians use both the Conventional and Low Grain Refrigerant (LGR) Dehumidifier to get rid of excess humidity from materials such as wood and insulation. In cases where the lowest levels of humidity are required, our technicians prefer to use LGR units. These units can remove water whose concentration is as low as 55 to 40 grains per pound. Is Carpeting Salvageable After Commercial Water Damage in West Hollywood? 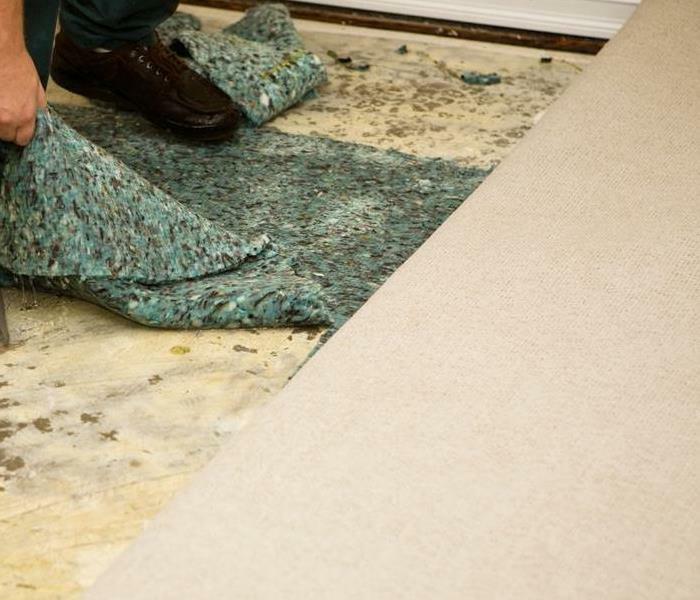 Often carpet padding has to be replaced after water damage. As a property manager of an office block, you are responsible for providing clean working conditions for employees. Flooding may cause temporary closure until full restoration occurs within the property. These issues are time sensitive as closures can cause a loss of revenue. We offer an expert solution to property damages by providing IICRC qualified technicians to restore them. Typical office carpeting can present a problem when dealing with commercial flood damage in West Hollywood. If flooding has occurred overnight, the fabric in carpets can absorb moisture. Wet fabric is up to 50% weaker, so appropriate care must be taken to avoid causing further damages. We train SERVPRO technicians in the removal and remediation of carpets. We may have to remove them temporarily to inspect the subfloor and see how far the damage goes. Using moisture meters that can penetrate the surface, we can accurately assess how much water has been absorbed and take appropriate steps to dry it. This process can be an essential part of controlling microbial growth. Carpet pads, placed between the subfloor and the underlayer of the carpet, usually have to be removed and disposed. These porous materials break apart when exposed to water but are usually cost-effective to replace. Before we relay carpets, SERVPRO treats both sides with anti-microbial chemicals to prevent mold from appearing after the service is complete. To completely return a property to its preloss condition, SERVPRO can thoroughly deodorize the affected area. Water that enters a property can loosen dirt and debris, or bring in odor-producing bacteria. It is vital to re-create the conditions in which the odor particles entered the property to mitigate against it. Using deodorant solution we can cover a large surface area and get your business ready for employees. When a property emergency presents itself, contact SERVPRO of Bel Air / West Hollywood at (310) 572-6132. Read more about West Hollywood here. Which Drying System Best Removes Water From Your Bel Air Home? SERVPRO tailors the drying process to your home's needs. Excess moisture can play havoc with your indoor environment. Not only can water stagnate and produce an unpleasant odor, but it can also create the ideal conditions for mold or mildew growth. Typically, these issues enter the home as the result of a flood or problem with the internal plumbing structure. Thoroughly treating the affected area can prevent secondary problems for the homeowner. The way to complete practical water drying in Bel Air is through training and alertness to all facets of the situation. SERVPRO uses technicians with IICRC qualifications in water damages as well as drying which can help to inform their decisions in your home. Usually, drying a property or room within a property relies on two systems, an open system or a closed system. An open system dries an affected area primarily through ventilation. By opening windows and encouraging airflow by using rapid air movers, outdoor dryer air replaces humid air. This method can be beneficial for drying furnishings or fabrics as the drier air actively pulls moisture into it. Your SERVPRO technician can decide an open system is inappropriate due to some restoration factors as well as taking into consideration the time of year and climate. A closed system involves creating barriers in the affected zone to prevent moisture in the air from spreading around the house. Hot air is then rapidly circulated in the affected area, evaporating moisture from cavities, subfloor or soft fabrics. After removing the moisture, dehumidifiers are deployed to draw moist air from the atmosphere. Your SERVPRO technician can decide if a closed system is appropriate based on their training and experience. Whichever method we use, you can trust SERVPRO to tailor our approach to the demands of the situation. We can do this because we invest in our technicians as well as providing them with the latest equipment they need to remove the water from your home. If you need a comprehensive drying service for your property, contact SERVPRO of Bel Air / West Hollywood at (310) 572-6132. Read more about Bel Air here. Storms with high winds can also cause flying debris, which can break windows. When storms make their way into West Hollywood, many times they bring with them windy conditions. High-speed winds can cause objects to become airborne and collide into your building's structure, which can cause your extensive flood damage. If wind gusts gain enough speed, they can pick up just about any item in your or your neighbor's yard, pick it up and blow it into your house. Once any part of your building's exterior gets struck by an object such as a rock or branch, it could create a hole in the exterior shell of your house. If the interior of your home gets exposed to moisture by a hole in a wall or window during a storm, it is wise to call in a professional flood damage restoration company such as SERVPRO. Since the glass making up your windows is the most fragile material on the exterior of your home, it can be broken the most easily if a foreign object collides into it. Once your window breaks when it is raining, water can quickly build up inside your home forcing you to call in the experts at SERVPRO to conduct professional flood damage restoration in West Hollywood. When the winds pick up during a west coast thunderstorm, branches can break, and landscaping materials can become dislodged and break your windows. Many times rain can come down very quickly in the region, making the problem of you having a broken window much worse. When the rain comes into your structure, it is considered a category two or grey water situation, which is because any water getting into your home from the outside that is not from a freshwater source could be contaminated by harmful parasites or bacteria. When building materials inside your house get wet by grey water, it is still possible to dry out your carpet without removing it, but it becomes necessary to take precautions. In these situations, our SERVPRO materials use specific chemicals to kill bacteria and antimicrobial solution to prevent fungal growth. If you ever suffer from water-related problems after a storm, call SERVPRO of Bel Air / West Hollywood at (310) 572-6132 24 hours a day. Click here for information about the West Hollywood Parks Route Walking Path. Smoke from a fire can penetrate into your belongings. Once the fire is put out call us right away to prevent further damage. We are here for you 24/7. Fires are a reality, and they can happen to anyone one in West Hollywood when they least expect it. One minute you can just be cooking dinner like every other night and then the next you could be calling in a professional fire damage restoration company such as SERVPRO. Nobody ever plans on having something burn on their property, but it occurs more often than you may think. It may be surprising but, the statistics show that firemen in the country respond to a home fire about every one and a half minutes. This being known, it is wise to be prepared to handle a fire damage situation. The number one cause of structural burns is that they start due to cooking inside your home. Therefore, one minute you could be preparing your dinner, and then the next you find yourself dealing with a fire damage situation in West Hollywood. There are over 350,000 house blazes in the U.S. every year, and they cause over $6 billion in property issues. When your dwelling sets ablaze, many different problems with your contents and building materials are likely to occur. Heat, flames, smoke, and possibly the water used to extinguish the inferno can create different types of complications to the components that make up the structure of your residence. When things get torched inside a building, there are three main types of dilemmas that can occur. The first one is the heat that gets produced once a fire breaks out can burn and destroy your building materials and contents. Next, partially combusted particles, better known as smoke, get released into the air and can cause surfaces in your structure to get coated with soot residues. The third problem our SERVPRO technicians work to mitigate when arriving at your residence after the flames flare up and get put out, is the presence of unpleasant aromas as a result of fire damage. 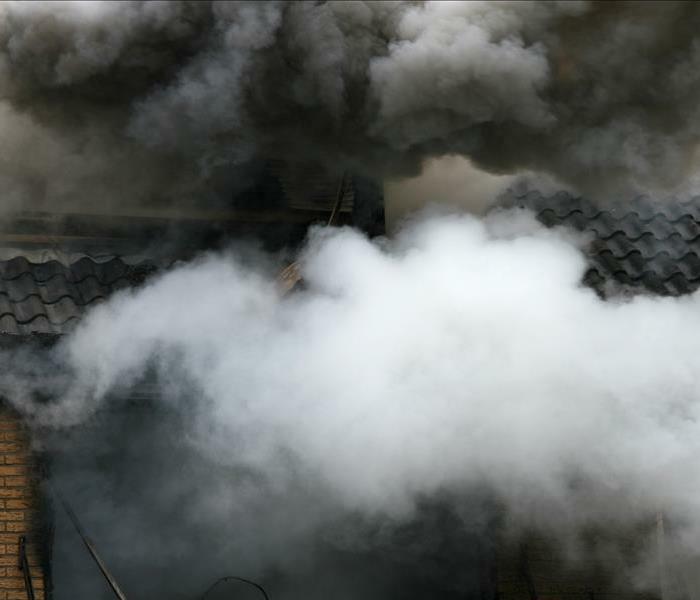 Smoke can penetrate deep into items inside your home causing them to hold onto malodor particles. If you ever suffer from an inferno igniting anywhere on your property, call SERVPRO of Bel Air / West Hollywood at (310) 572-6132 seven days a week. Learn more about the arts and culture of West Hollywood click here for more information. Foundation cracks need to be sealed in order to prevent water from entering the home. Contact SERVPRO to have an assessment of your house done. There are a variety of things you should learn about water damage to help protect your investment and ensure that you have the proper insurance coverage for problems that exist in your area. Water damage in Bel Air caused by seepage or groundwater is real. 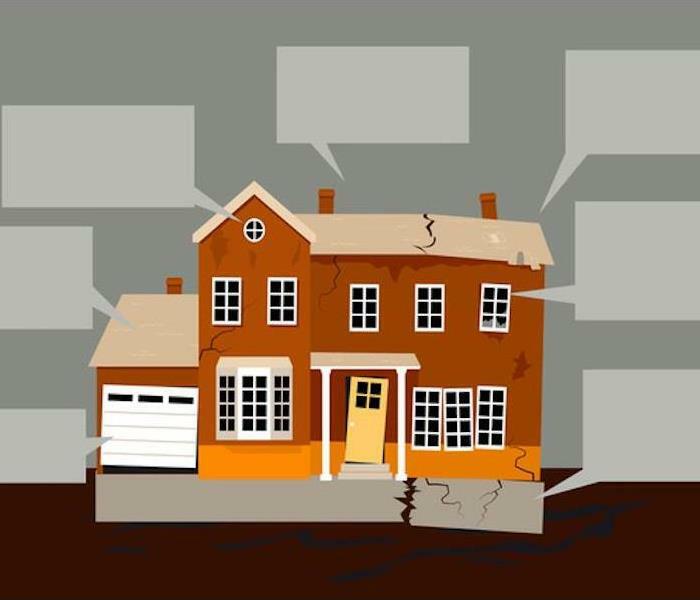 Having your home inspected by a qualified restoration company can provide you with protection against this problem, and even get you the help you need during a disaster. Having the cracks in your driveway and foundation repaired, installing a backflow valve, sump pump, or additional drainage all help prevent water seepage. 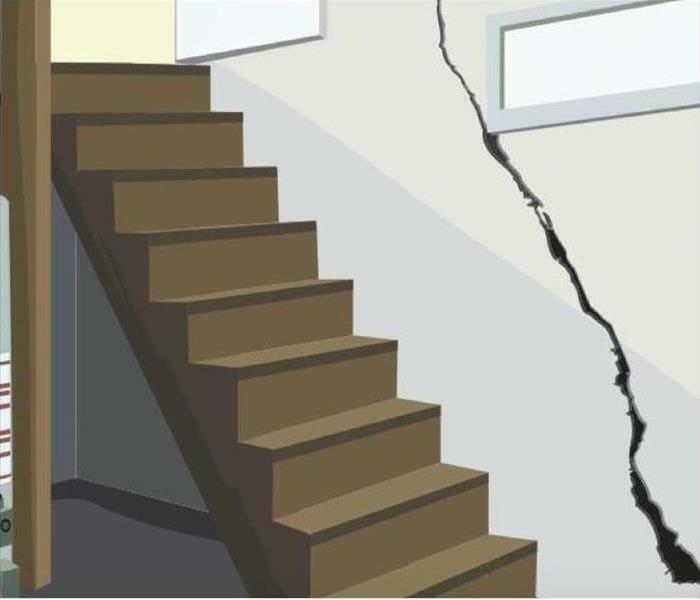 The cracks in your foundation give water a more efficient way of entering your home, leading to significant damage that affects the structural integrity of your home. SERVPRO technicians can inspect your entire home for problems, make sure that everything is working as intended and save you from experiencing tragic losses. Something as simple as the gutters on your roof protects your home from having thousands of liters of water enter during months with excessive rainfall. You need to ensure that your gutters are clean, removing leaves and other debris that prevent excess water from getting to a safe location. SERVPRO technicians can inspect your gutter system for leaks, perform any necessary repairs, and protect your home. SERVPRO also performs grading services that prevent rainwater or other water issues from flowing into your home. Over time, soil erosion changes the ground around your house, making it entirely possible for rain, melting snow, ground water, or other issues to gain entrance. Even a small change in grading on your property is enough to cause major problems. With the installation of a backflow valve, should a sewage backup happen, a flap in the valve prevents water from backing up into your home. You have seen pictures of toilets, sinks, and even appliances overflowing, causing significant damage. Well, a backflow valve and sump pump are key performers for preventing this type of harm. 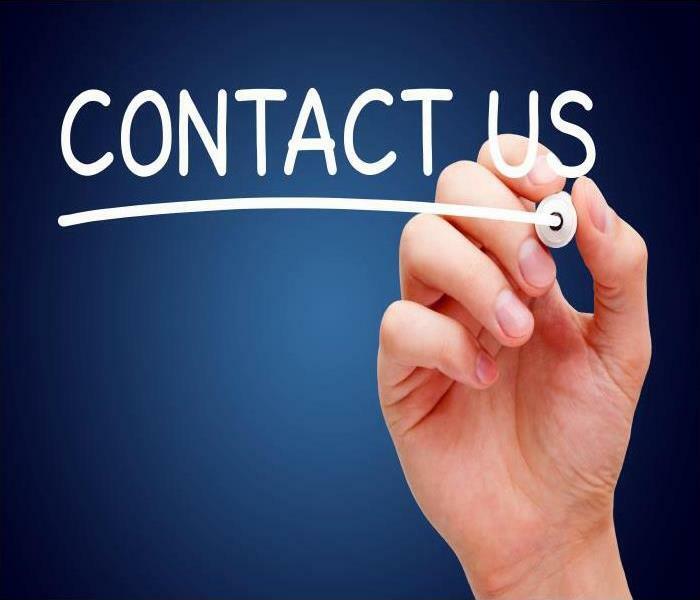 Our trained technicians are available 24/7 to help with your water damage restoration. We have the right equipment for any job big or small. Keeping your gutters on your Bel Air home clean and free of debris might seem like a menial task, but not doing so can create significant issues for your structure. From roof leaks to problems with the foundation, clogged gutters can lead to costly repairs if they are left untreated. If you are seeing signs such as shingles with curled up ends, missing shingles, gutters which are pulling away from your home in Bel Air, or mold or excessive staining, these are clear warning signs that your gutters are failing. 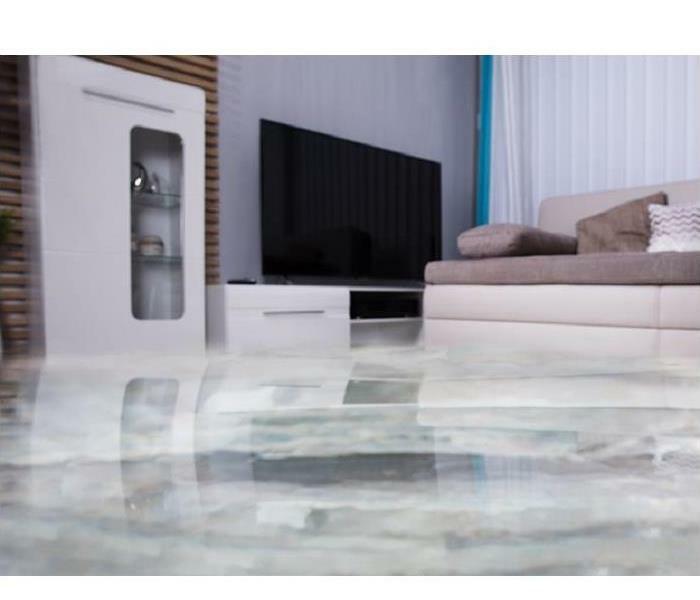 When they have created water damage to your Bel Air home, you need water cleanup services from a professional remediation company. SERVPRO can take a look at your home to see where the damage is and how extensive it is, plus clean it up and restore your home. Cracks in your gutters lead to water leakage and water damage to your home. If you do not deal with it right away, this leads to larger cracks. In this instance, water staining and even mold can be seen on your interior walls, which might be your first indication there is a problem. SERVPRO techs have moisture meters we use to find any hidden moisture inside your walls or ceilings so we can find all water damage and find where the leak is originating. If mold is present as well, we use antimicrobial cleaners to remove it thoroughly. Peeling or flaking paint or watermarks located right below your gutters and near the base of your home are a huge indicator that your gutters are failing and leaking water. If this has been going on long enough and you have water seepage into your home, we need to dry out any walls and flooring that were affected. We have industrial fans and dehumidifiers which can speed up the drying process and remove excess water from the air. These machines are monitored daily and rotated around the affected area to ensure the fastest drying time and avoid additional damage. SERVPRO of Bel Air/West Hollywood wastes no time getting to your home in Spaulding Square, Weho, or Central Hollywood when you reach out to us for help. Water damage from your gutters can escalate quickly, so call us at (310) 572-6132 as soon as you find the problem, and we can have your home restored in no time. Join the LAPD and LAFD at the St. Baldrick’s Shaving Fundraiser to help conquer childhood cancer click here for more information. 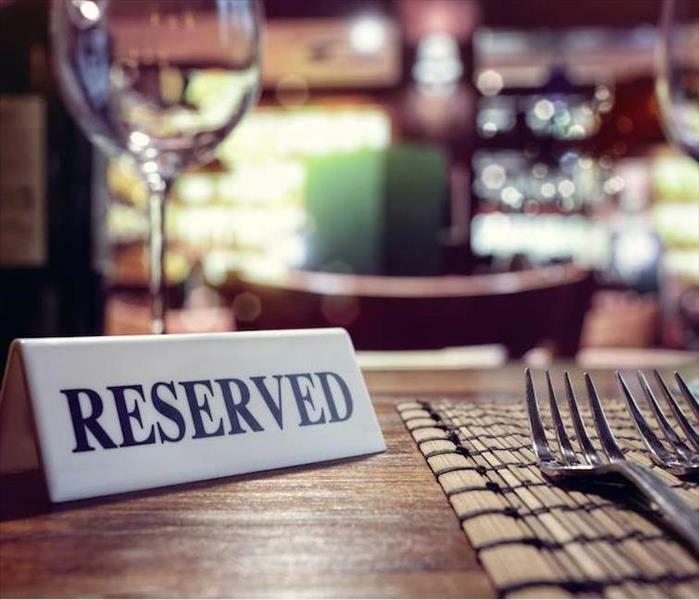 Finding mold in your restaurant does not have to mean closing your doors. Contact SERVPRO right away to come out and assess the situation. Finding mold growing in your West Hollywood restaurant is not the kind of discovery you want to make. Because mold can cause health effects, this means that the health of you, your employees and your customers can be affected. Therefore, getting the mold infestation cleaned up right away is essential to keep your business running smoothly. When you need commercial mold damage restoration in your West Hollywood business, you only want to trust a professional remediation company such as SERVPRO. All our staff is trained and equipped to handle the issue in your restaurant efficiently and quickly. We understand that disrupting your normal daily operations means lost money for you and may even be able to do the work while the restaurant is usually closed. SERVPRO technicians first need to identify the source of the moisture which created the mold and dry the area entirely with industrial equipment and specialized tools. Fans and dehumidifiers can be used to speed up this process. We then seal off the affected area with plastic sheeting to stop mold spores from spreading to clean areas of your restaurant. We use air scrubbers and HEPA vacuums to clean the air of any mold spores which are airborne and stop the unintended transfer of the contamination. HEPA filters are specially designed to capture tiny particles like mold spores. Regular filters do not work and can make the problem worse. The area is then totally sanitized with antimicrobial chemicals and industrial-strength disinfectants. While we clean, we run the HEPA air scrubbers and air exchangers so the moldy air can be replaced with fresh, clean air. If there are any porous building materials like wood or drywall that cannot be salvaged and sanitized, we dispose of them and replace them. The industry standard of removing any drywall that is two feet from any appearance of mold is strictly followed. The HEPA air scrubbers are used again for another 24 hours to ensure all the air is free of any remaining mold spores. The whole area is treated and sealed with antimicrobial chemicals to stop any future mold from growing. SERVPRO of Bel Air/West Hollywood wants to help you clean the mold from your business in Spaulding Square, Weho, or Melrose District so you can get back to business as usual as soon as possible. As soon as you think you have an issue with mold, give us a call at (310) 572-6132 so we can help. Click here for more information about West Hollywood. The rain in West Hollywood can sometimes get intense and come down very hard. 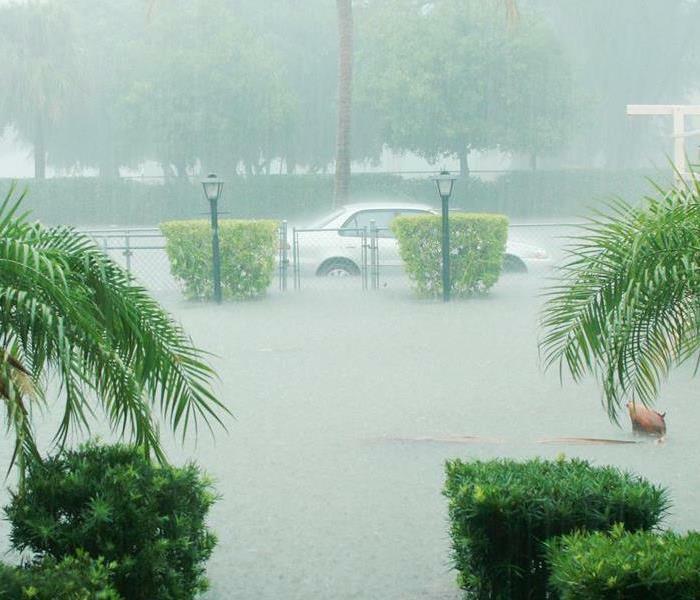 These vicious thunderstorms can cause water to leak into your home from weak spots in the structure requiring you to get a hold of a professional flood damage restoration company such as SERVPRO. 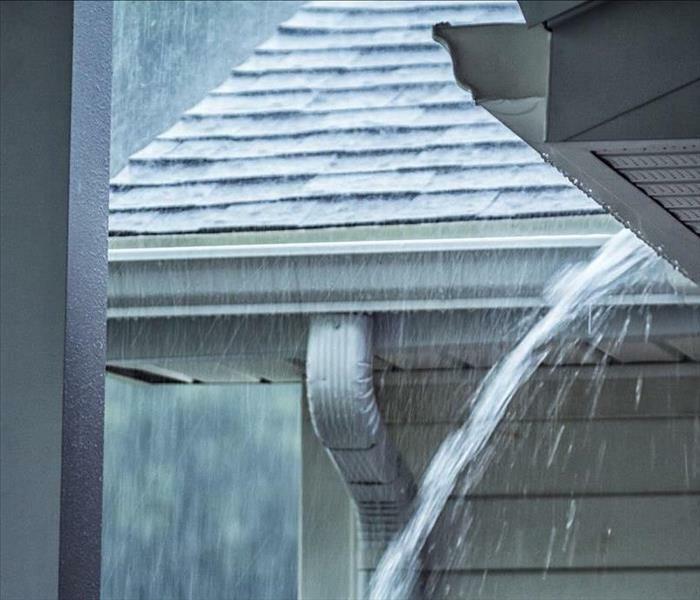 Common ways water and moisture can enter a building after a rainstorm include, seeping in from a leaky roof or from apertures that are built into the structure like doors or windows. The seals of your doors and windows can wear over time and lose their ability to keep out moisture. If water gains entry into your house, flood damage can result. In some cases, windows that are set high up in your entranceway or living room area can be a place where moisture enters. When the window is set high up, the water will follow gravity and cause flood damage in your West Hollywoodhome as it makes its way to your floor. Any moisture that made its way in could get behind your drywall and into your wall' cavity. Once this occurs, your wooden studs and the paper on the back of your drywall are both at risk for mold contamination. If organic materials like these stay wet for more than 48 hours, mold can form inside these voids. Water coming from the top of your house down can create many issues with your window frame, drywall, and other structural components. If the drywall got saturated, then our SERVPROtechnicians might have to remove it around your leaking window. In some situations, we can use injection drying methods to pump air into your wall cavities so that it dries out the back of your drywall and wooden studs. If other materials get wet and the relative humidity level inside your house is high, then we set up air movers and dehumidifier to rapid dry out your contents and building materials. If you ever notice a leak in your window after a heavy rainstorm, call SERVPRO of Bel Air / West Hollywood at (310) 572-6132. We are available 24 hours a day. Here are contact points for WEHO. Storms can bring flooding to Southern California. Call SERVPRO when unexpected water invades your home. 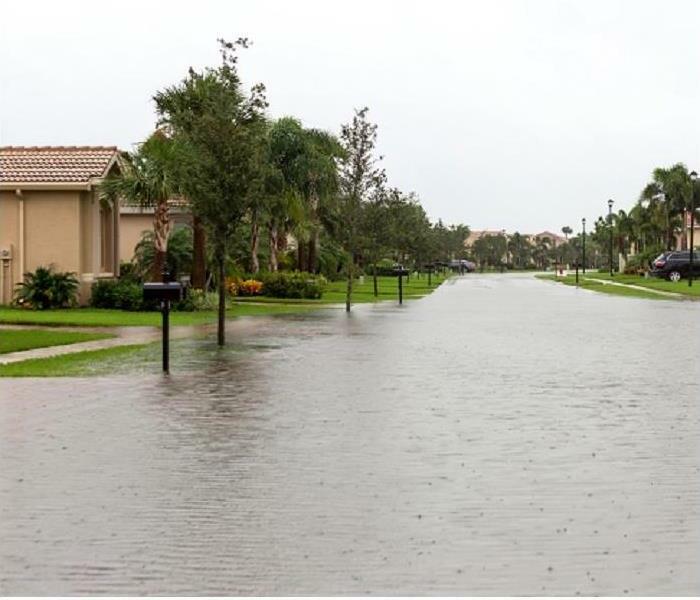 Surging storm waters can reach different parts of your Hollywood property leaving contaminated groundwater, which needs immediate extraction. Taking too long before extracting creates different problems including creating an opportunity for microbial proliferation or structural deterioration. Calling a professional restoration helps fast track the process because of the use of sophisticated equipment to extract water and perform other restorative actions. The equipment chosen for extraction can determine the speed of restoring flood damage in West Hollywood. Our SERVPRO technicians rely on our high-capacity truck mounted water extractors, which typically have a 185.71 to 198.98 vacuum lift capacity, which is sufficient in most cases. In cases where the standing water level exceeds two inches in depth, we opt for submersible pumps, to increase efficiency. Proper disposal of the wastewater removed is essential. Floodwaters contain a cocktail of contaminants, which if not disposed of properly can lead to other problems. The best disposal is through treated sewage systems so if a home has a septic system, an alternative disposal solution is necessary. The water extractors used by our SERVPRO technicians have storage tanks that help in the transfer of the wastewater removed. Some truck-mounted water extractors can hold over 100 gallons. In cases involving disposal of high volumes of water, we liaise with septic tank companies. Dealing with the contaminants left after the floodwaters recede, can be overwhelming. Floodwaters in most cases leave silt, mud, raw sewage and other debris in the affected areas. Our SERVPRO technicians use pressure washers for fast cleanup of wet soiling from the affected areas. We also use regular tools such as shovels and rakes to remove silt and other similar debris. We understand the need to contain the spread of contamination after such incidents. Our technicians use various spraying equipment to deliver EPA-registered disinfectants directly to all affected areas. Recovery after a flooding incident is easier when using the right resources. Call SERVPRO of Bel Air / West Hollywood at (310) 572-6132. We're Faster To Any Size Disaster. Click here to read about Runyon Canyon. 4/8/2019 - Is Carpeting Salvageable After Commercial Water Damage in West Hollywood? 3/25/2019 - Which Drying System Best Removes Water From Your Bel Air Home?